The crowd-pleasing documentary played as part of the IDA Screening Series, where students admitted that being a beacon of hope can also feel like "a burden." After making documentaries about the opioid crisis (“The Naked Truth: Death by Fentanyl”) and migrant detention centers (“Why Did the U.S. Lock Up These Women with Men?”), Darren Foster and Cristina Costantini were ready for something a little more uplifting. “It was a natural progression,” Foster joked during the IDA Screening Series’ presentation of “Science Fair,” the co-directors’ crowd-pleasing documentary that first premiered at Sundance earlier this year. “We started talking about my science-fair experience, as I participated for two years, as I mentioned, and Darren immediately was like, ‘We gotta do that documentary,'” Costantini added. From there, things began to fall into place — albeit gradually. “We’ve never done anything happy, we’ve never done anything fun, and so we got very, very lucky,” she said, explaining how Univision agreed to fund the project in full. 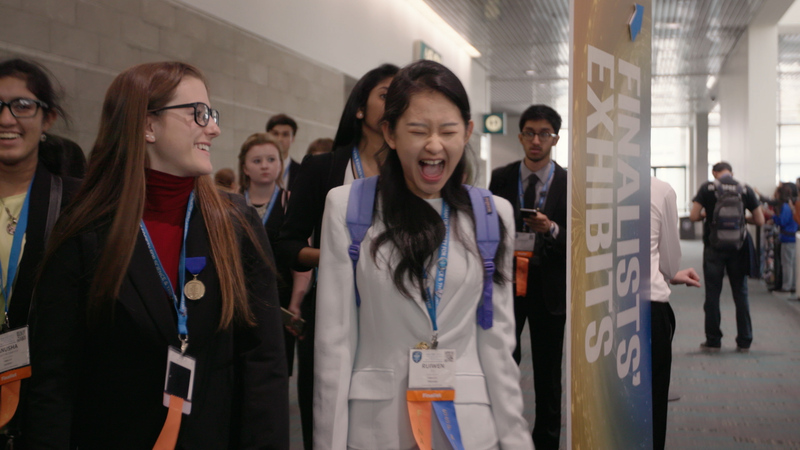 Following a cross-section of hundreds of kids who hope to be named Best in Fair at the 2017 International Science and Engineering Fair, the film took home audience awards from both Sundance and SXSW. Part of that comes from the students (and one teacher) Foster and Costantini followed, not that finding them was easy: They scouted ISEF 2016 before finding their full cast, and production lasted nearly a year. Mylenna Braz de Silva, also from Brazil, takes her newfound responsibility seriously. “I know from now on I’m a model, especially in my city. It’s a must for me to incentivize other youngsters in terms of science and to show them that, no matter where they come from, what reality they have, they can achieve things they couldn’t possibly imagine,” she said.